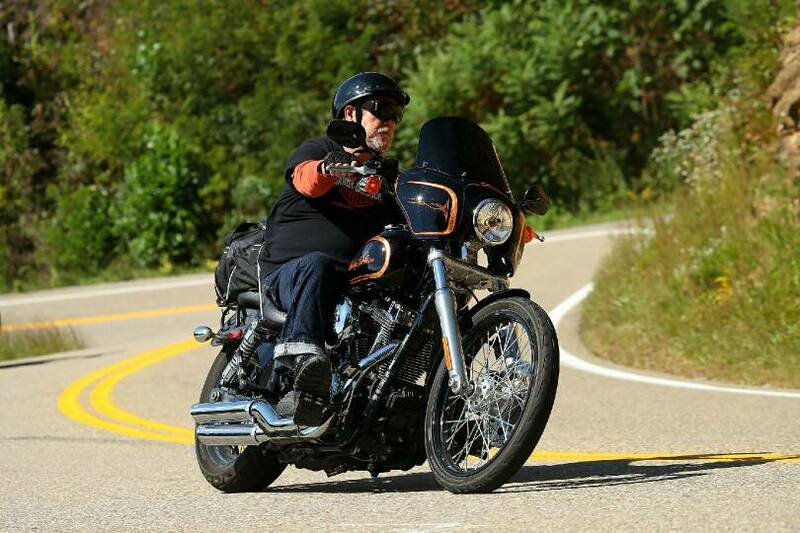 Here is a friend from southern Indiana on the Tail of the Dragon in NC. He is a nut so I told him to come over here and check the Cellar out. Hope y'all don't mind. We can always use more victims. He may be too badass for us though. See, I told ya boats were cheaper. One correction, that's Francis' FLSTC Softail Classic labeled as Benedict's FXDC Dyna Super Glide. The price is right though, the softail only brought $52,000. My god, those are just rolling engines with a tiny seat attached. Wow. Beautiful, amazing. Completely utilitarian, but SO aesthetically pleasing. OK, how about a Brough? Got something against quality machines? They changed them since I looked last, but, still want.